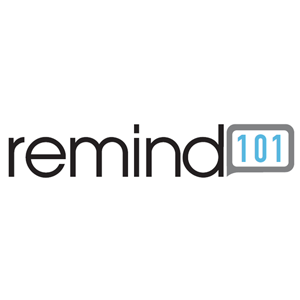 Remind101 is a service that provides a safe way for teachers to text message or email students and parents. Using Remind101, teachers can engage their students and parents more effectively without needing to know their phone number and without having to give their phone number out. How does Remind 101 work? Great question! First, a teacher adds his/her class, which generates a unique code. The teacher then shares that code with students or parents. At that point, any student or parent who sends a text message with the code will be "subscribed" to the teacher's class. Any time a teacher sends a message from Remind101, all the students or parents subscribed will receive it. Here's a fun video a teacher recorded walking through the service.